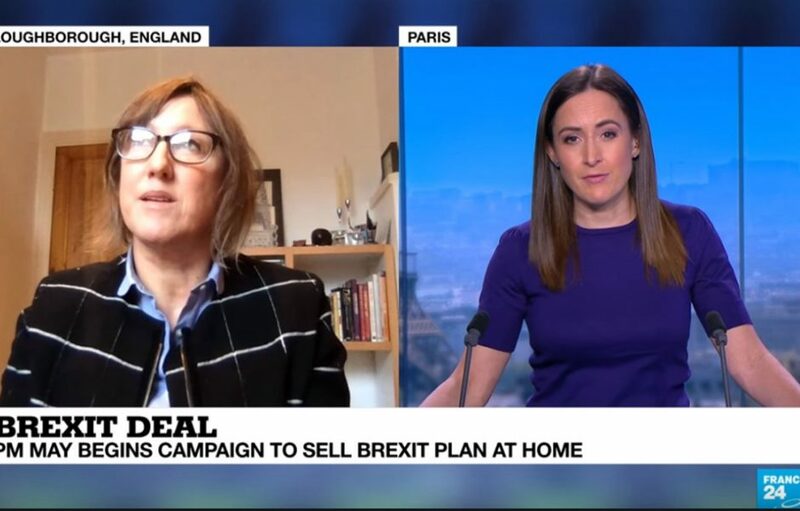 Professor Helen Drake, Director of the Institute for Diplomacy and International Governance, discussed Brexit and the European Summit with France 24 earlier this week. In this interview, Helen Drake begins discussing what Teresa May is going to say to persuade MPs to back the deal. Helen says, “she will be sticking to the script she has stuck to for quite some well”. Helen argues Teresa May will guilt trip her own party into thinking this is in the nations interest, this is the best deal, and this is the only deal we are going to get in order for them to back her. Other topics discussed in the interview were Teresa’s recent media attention, the possibility of Teresa losing the vote, and whether she is going to present her plan as different things to different people. To find out more about Helen Drake and the Institute for Diplomacy and International Governance, please see here.